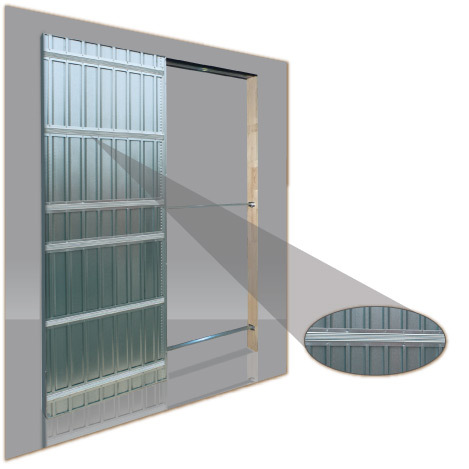 The structure of the metal box is made in galvanized steel. 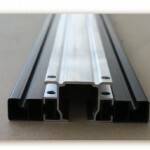 The sides and rear profile have a thickness of 0.5 mm, and the top and bottom profiles are 0.8 mm thick. The sides of the metal box are made in sheet metal with vertical corrugations at intervals of 100 mm, giving the structure greater rigidity. 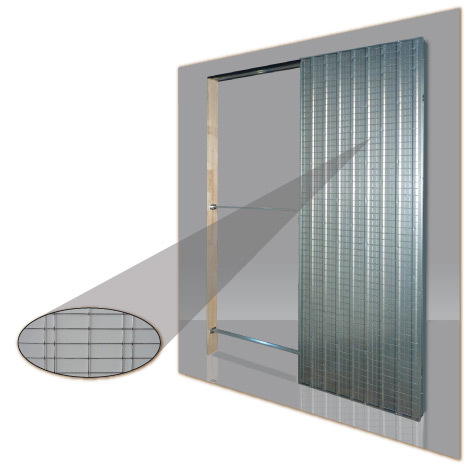 The sides are also fitted with a metal mesh that ensures excellent adherence of the plasterwork. The metal box is also supplied with a fine glass-fibre mesh, to be applied to the joints at the top between the box and the wall on both sides, protecting against cracks in the plasterwork. 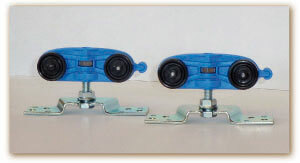 The frame is supplied complete with two spacers to ensure correct installation. 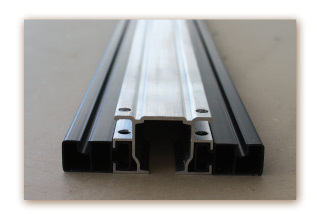 Aluminium track profile with side profiles in black PVC following the thickness of the finished wall. On the side of the wooden doorpost, the crosspiece is fixed by pre-fitted pins, and on the side of the metal box it slots into position. 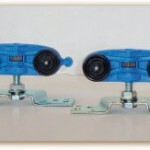 A pair of hangers with ball bearings, with a supporting capacity of 120 kg. The hangers are complete with fasteners, suspension brackets and an endstop for fitting the door panel.